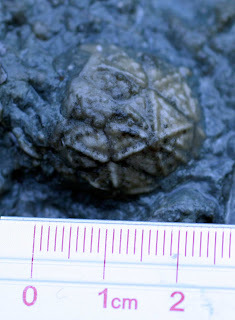 Caryocrinites cystoid fossil found in the Waldron Shale of Clark County, Indiana. Animal dates to Middle Silurian Period. 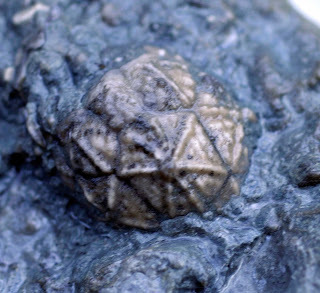 This animal has distinctive hexagon plates with an asterisk like pattern on them. Fossil has yet to be prepared.